In this lesson, we will learn how to compose simple 2D shapes to make larger shapes and how to pick the 2D shapes that are used to make the larger shape. 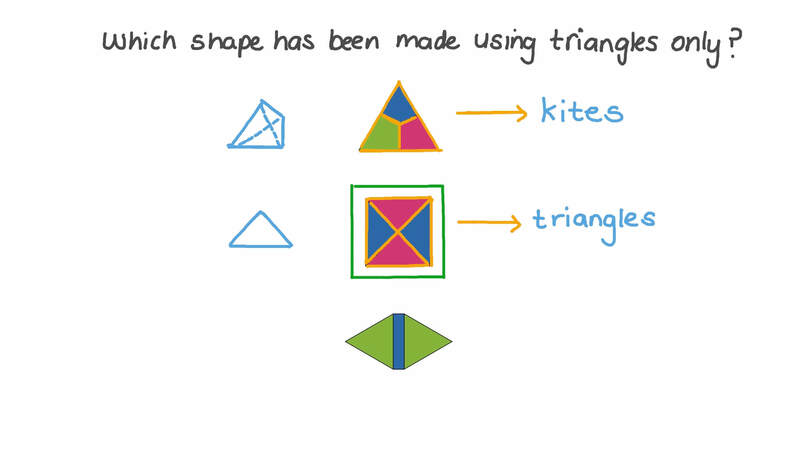 Which shape has been made using triangles only? Fares is trying to fit triangles into this hexagon. 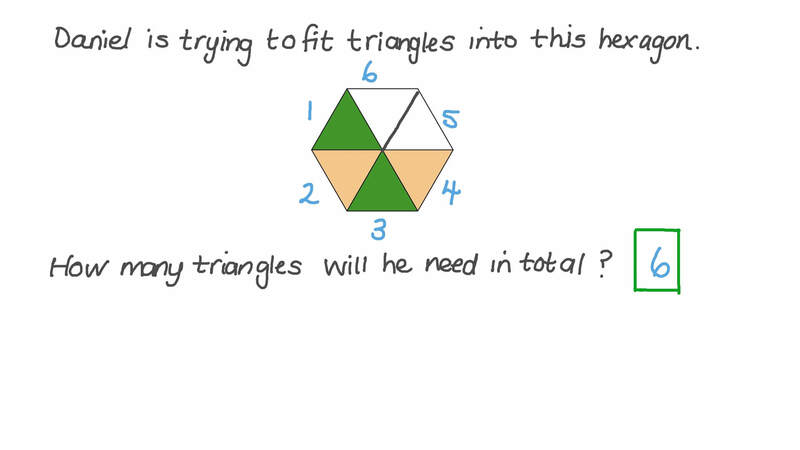 How many triangles will he need in total? 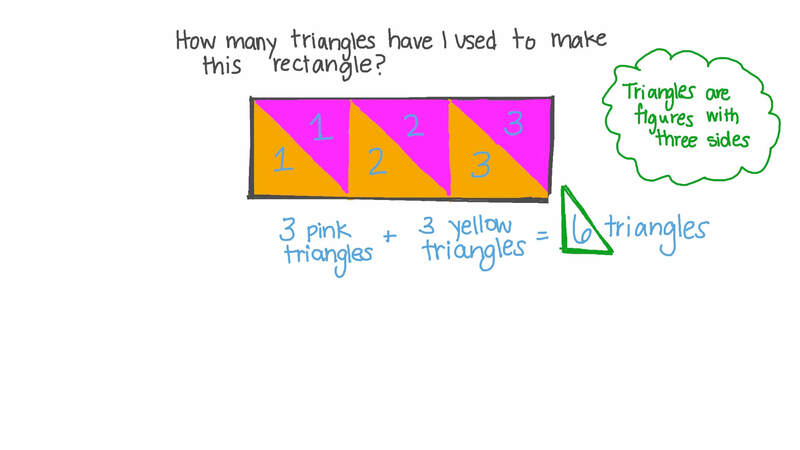 How many triangles have I used to make this rectangle? Which shape has Yara made out of triangles? Choose the group of shapes I can use to build this rocket. Can I make a rectangle by joining these squares together? Nader and Sarah have used shapes to make a picture of a person. Nader has used more triangles than Sarah. Engy made this hexagon out of triangles. Adam only has three triangles. What shape could he use to finish his hexagon?